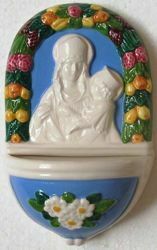 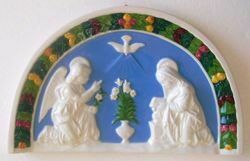 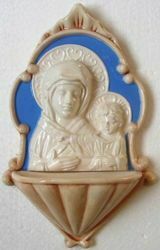 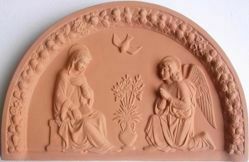 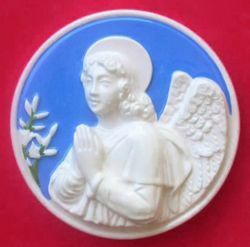 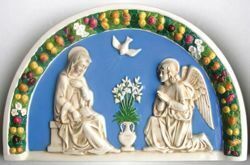 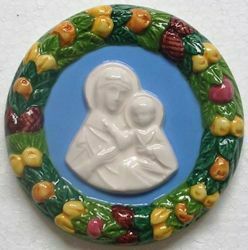 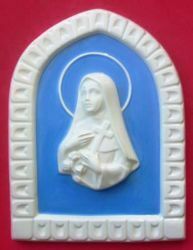 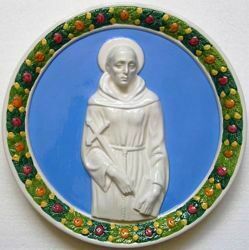 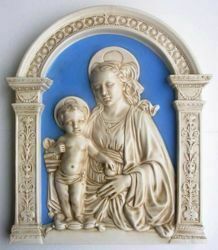 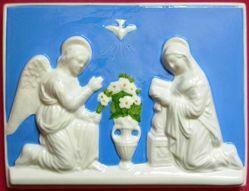 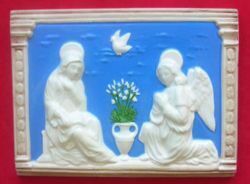 Our bas-relief glazed Robbiane ceramics and Terracotta and Holy Water Stoups are created from original hand-carved molds and hand painted in the style of the sculptor of Florence Luca della Robbia, active in Tuscany in the Renaissance. 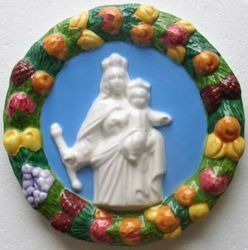 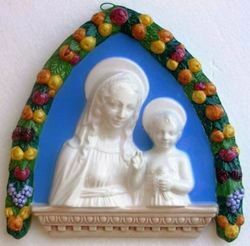 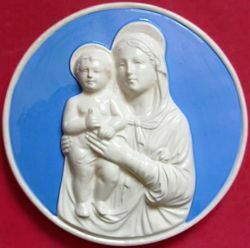 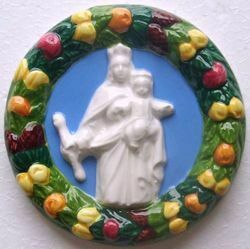 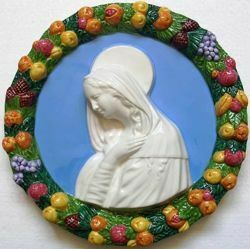 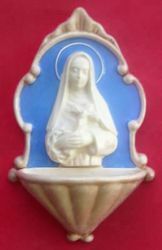 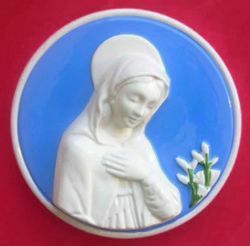 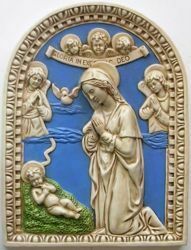 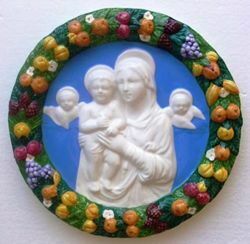 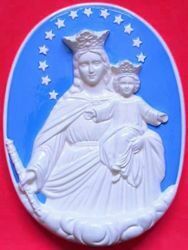 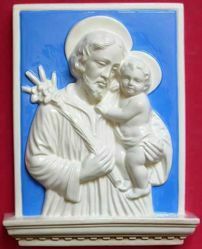 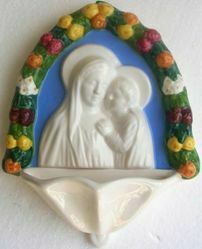 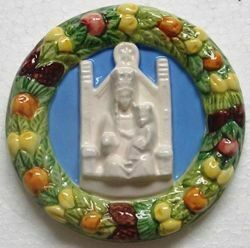 Subjects, highlighted by elegant blue enamel backgrounds or by frames of fruits and flowers, are copies of Renaissance or modern works: Madonna with Child, Annunciation, Nativity, Holy Family, St. Joseph, St. Francis, Sacred Heart of Jesus, St. Padre Pio, Pope Francis. 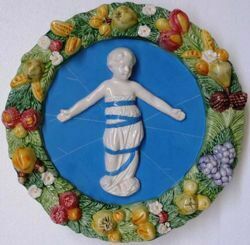 Robbiane glazed ceramics and Terracotta are unique and suitable to be placed indoor or outdoor. 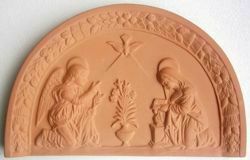 Each item is signed on the back to certify the Made in Italy handicraft production.